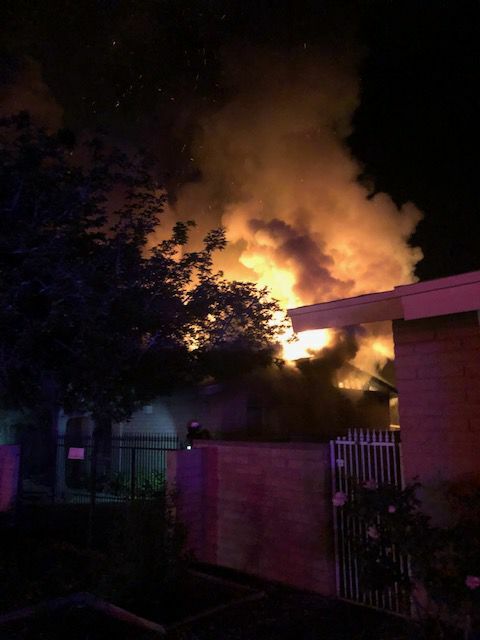 Tucson Fire Department battles an early-morning fire at an east-side residence on April 16, 2019. 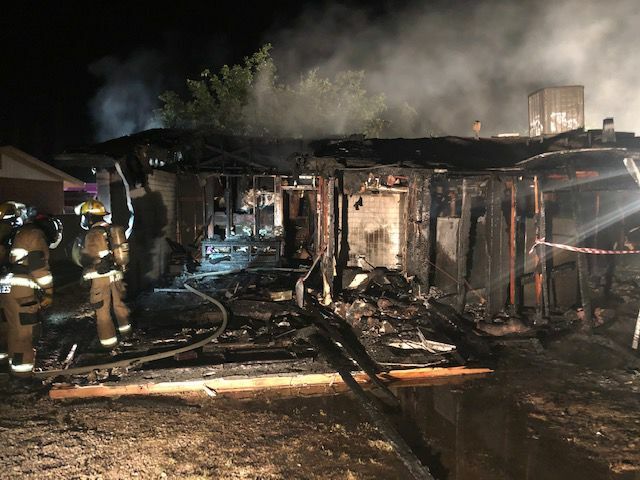 Tucson Fire crews responded to an early morning house fire on Tuesday where the roof collapsed into the structure, officials say. Fire crews received multiple calls reporting flames coming from a single-family residence in the 3500 block of South Calexico Avenue, near East Escalante Road and South Camino Seco, just after 4 a.m., according to Captain Chris Jurvig, a Tucson Fire spokesperson. No one was in the residence at the time of the fire. When the first crews arrived, two minutes after being dispatched, they reported the house was engulfed in flames, Jurvig said in a press release. While working to control flames so the fire wouldn't spread to neighboring homes, firefighters could hear ammunition discharging inside the home due to the heat. A large section of the roof collapsed a few minutes after crews arrived. Neighbors said one person lives in the home, according to the press release. Officials are trying to find the resident. The cause of the fire is being investigated.